Roads are built with two primary raw materials, i.e., concrete and asphalt. Concrete roads are known for their strength and durability and last longer when compared to asphalt roads. But that does not mean that your concrete road cannot be damaged. Eventually, due to extreme weather, continuous movement of vehicles, etc. concrete roads can weaken. Now there are some ways to protect your concrete roads and increase its lifespan by following these tips. If your concrete road is freshly built, you must check it every now and then for cracks. Cracks can take place when the concrete mixture is not right. Also, if the concrete roads are not allowed sufficient time to dry, then cracks are bound to appear on the surfaces. When you come across any of these cracks, make sure that you get them repaired at the earliest. If you don’t do so, there is a possibility that your cracks may widen and lead to accidents. Concrete sealing is one of the ways to prevent your road from damage. When your road or driveway starts showing the signs of a crack, you should consider sealing it. You can either contact one of the concrete driveway repair contractors to get the work done for you or you can visit a local hardware store and get the right type of sealant for your road. The frequent movement of vehicles will stain concrete roads due to oil, petrol or diesel leaks. These oil stains should be removed as soon as possible. Also, do not change your vehicle’s oil on the driveway. When you do so, there is a chance of the oil spilling onto the road and so accidents are bound to happen. If you have no option other than changing the oil on the road, use a piece of equipment that will cover the road surface. You can clean the stain marks with cleaning chemicals such as trisodium phosphate or TSP substitutes such as dish wash soap or detergents that are available in the market. When water remains on a concrete road for a long time, there is a complete possibility that the road can be damaged. When the ice melts, the water can seep through the minor cracks formed on the road. Again when the temperature decreases, the water can expand and widen the cracks. You can prevent this by constructing your road in such a way that the water does not accumulate on the road surface. These are some of the tips to protect your concrete roads. If your road is damaged and you wish to conduct repairs, then you can contact a concrete driveway repair contractor to repair your concrete road or driveway. Stamped concrete is the process of pouring fresh concrete and stamping or pressing it to create different designs and textures before it dries. This process is carried out with the help of molds that are pressed into the concrete. Color is added with dry shakes or color hardeners and acids are used. Adding colors to stamped concrete can help you install decorative concrete designs that resemble brick, slate, wood, stone or cobblestone. What is Stamped Concrete Overlays? Stamped concrete overlays are applied over an existing concrete surface. Various blends which contain polymer resins mixed with sand, cement, and other additives, and rubber imprinting tools or acrylic sprays may be used in this process. 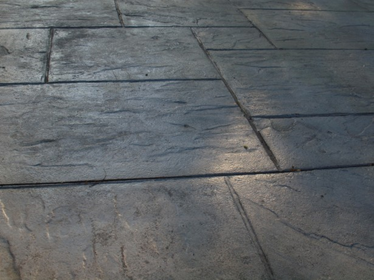 Stamped concrete overlays are usually recommended if the existing concrete surface is in good condition. The existing concrete surface still has to be prepared before the procedure starts. Which option is suitable for you? 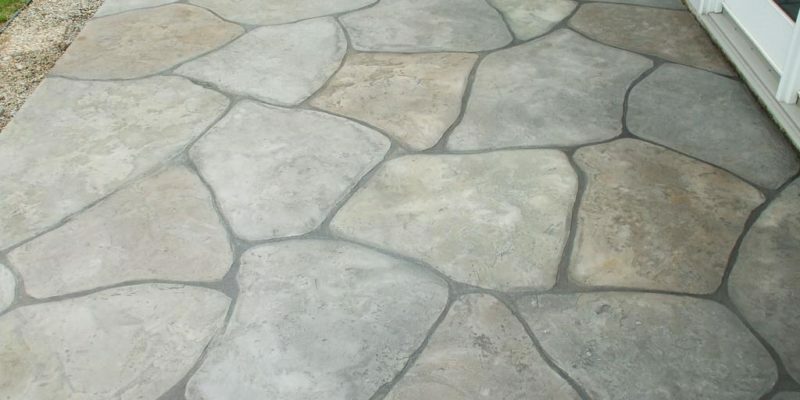 Stamped concrete overlays are used when there is an existing concrete surface in good condition but needs a new look. Cracks and similar imperfections in the old concrete surface are repaired before applying the overlay. When the surface is prepared and made structurally strong, it can be renewed by applying an overlay and then creating the desired texture and pattern. Colors can be used to complement the color of your house, along with the landscaping themes. With modern technology, you have a wide range of colors and textures that you can choose from. Stamped concrete overlays are an excellent choice for sidewalks and patios as it requires a few laborers and less time. Sometimes, the concrete surface needs to be changed due to damages that are difficult to be repaired, stamped concrete is a viable option in such situations. If there is some area where you have not laid out a concrete surface, then stamped concrete should be your choice. While there are various advantages and disadvantages of stamped concrete, it is a good choice for driveways due to its solid structure and thickness. Additionally, it does not require a lot of maintenance. If you are still unsure of your choice or if you are looking to upgrade your patio, driveway, concrete floor or walkway, or any other residential or commercial decorative concrete needs, contact an expert in providing decorative concrete services. 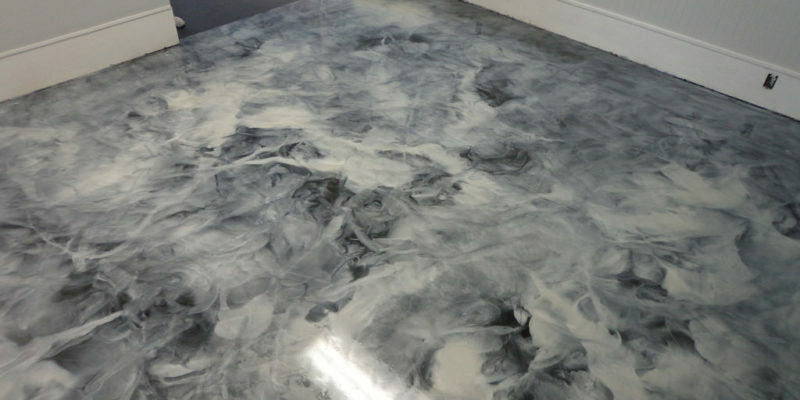 Who knew concrete could be used to create decorative flooring? Concrete is traditionally used as a base material on which different colored tiles are laid for a better finish. But now concrete that is laid can become a decorative choice of flooring structure. This process can be done by staining the laid concrete with acids that react with the concrete creating vivid patterns. The newly formed patterned flooring is then glossed with a protective coat that reduces damage possibilities. This entire process of achieving decorative concrete floorings is called stained concrete. Decorative concrete has limitless design options that can’t be achieved with other floor finishes. Acid stain concrete flooring can be customized to fit any interior decor. Every concrete surface reacts differently forming unique patterns and color options. The reaction depends on the application of these residential decorative concretes. The regular gray appearance of concrete is transformed into a beautiful creation, mimicking wood, slate, brick and different hues by using different materials along with a decorative coating. Here’s how you can acid stain concrete. 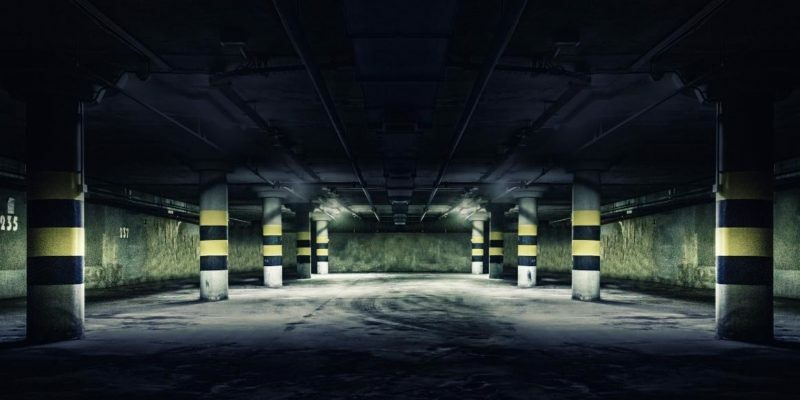 Whether you are staining new or old concrete, thorough surface preparation is essential. Unlike paints and coatings, which are opaque and can mask many evils, acid stains are translucent. Any residue remaining on the surface of the concrete is likely to be visible through the newly applied stain. When you prepare the surface properly, you will have an attractive finish. Follow these steps for stain application. Mask off areas to protect from staining like door frames, walls, etc. Spray or brush on the first coat. Popular sprayers include airless sprayers, HVLP sprayers, production guns, pump sprayers or even a trigger spray bottle. A brush or sponge may be used for cases that require precise control of the stain application. Let the newly applied stain dry. The dry time will vary based on temperature, humidity, and air flow. In optimum conditions, the concrete will be dried in 15-20 minutes; however, the total cure time is 24 hours. Repeat if more color intensity is desired. Most stain manufacturers recommend waiting a few hours between applications. Rinsing the concrete with clean water until the water runs clear. acid stain, water-based stains do not require neutralization. Using a soft bristled brush or broom to loosen any stubborn residue before the final rinsing. The sealer or protective coat is applied after the stained concrete is left to dry overnight or longer. It is recommended to apply two coats of sealer for optimum durability. In addition to the sealer, a floor finish or wax can be applied for extra protection against scuffs and scratches. Residential decorative concrete is applicable to walkways, patios, family room floors, kitchen countertops, and even vertical surfaces like walls or fireplaces. Therefore, if you want acid stain concrete, get in touch with a professional company that provides residential decorative concrete services. Roads are a primary mode of transport and every day, several vehicles pass through the roads. Therefore, it is important that you have good quality roads for a safe commute. However, due to the constant movement of vehicles, roads do get damaged eventually. 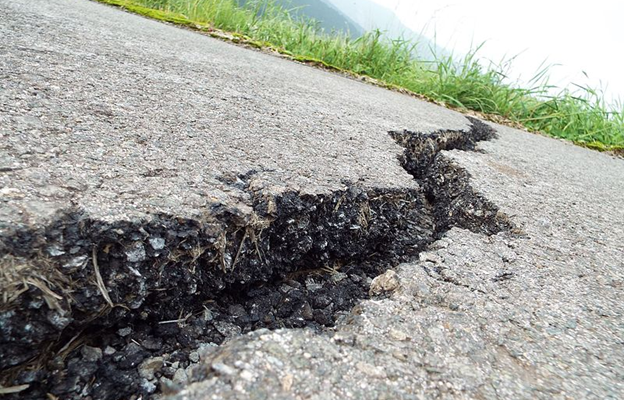 Initially, when a road gets damaged, cracks begin to appear on its surface. But what causes roads to cracks? Let’s take a look at some reasons why roads develop cracks. When there is too much water accumulated on the road, the road surface can develop cracks. The accumulated water can seep through the road surface and reach the bottom layer of a road. This water can freeze when the weather is cold and cause cracks to widen. There’s always a possibility of oil spills on the road from vehicles as they pass. If the leaked oil and petrol is not cleaned or cleared on time, chemical reactions (between asphalt and the leaked oil or petroleum) can affect the road surface and result in minor cracks. Drying shrinkage is a common cause of cracks on concrete roads. Drying shrinkage takes place when the mixture used in the construction of the road is not prepared correctly. The road loses its moisture or dries too quickly. Apart from these reasons, drying shrinkage can also take place due to extreme weather conditions. To avoid drying shrinkage, it is recommended to construct your concrete road from one of the experienced road construction companies. 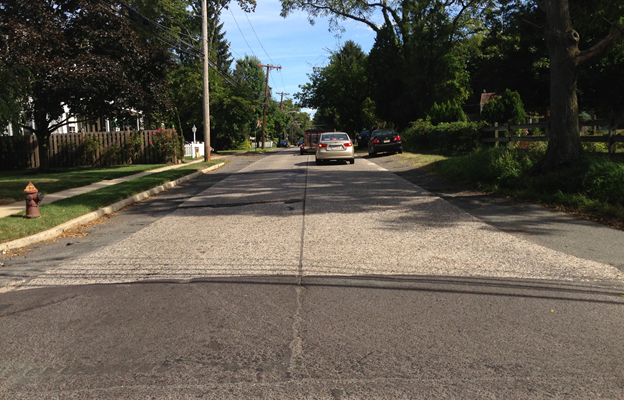 Stripping occurs on asphalt roads when the composite materials are unable to hold together. This type of cracks begin at the base of the road and slowly and steadily move up towards the surface. Stripping takes place due to inadequate drainage measures. Apart from drainage, stripping can take place due to the cyclic pore water pressure that is applied onto the roads because of heavy traffic. This type of crack occurs when the road is subjected to severe weather conditions over time. Frequent movement of heavy vehicles is also responsible to damage road surfaces eventually. A thick layer of asphalt can help to prolong the life of asphalt roads. Apart from increasing the density of the asphalt layer, road construction companies can also focus on creating a better road drainage system that prevents accumulation of water on roads. Cracks, when left unrepaired, can develop potholes. Once the potholes are developed, it can lead to huge road expenses in the future. Therefore, it’s better that you take precautionary measures and prevent the formation of cracks on roads. To repair your roads that have developed cracks, get in touch with a road construction company. Potholes can be caused when water accumulates on the road surface and then seep into the road surface due to cracks. A road can also develop cracks when a road construction company makes mistakes in the process of constructing them. These mistakes include adding an incorrect proportion of the mixture, not providing sufficient time for the road to dry, and using low quality of raw materials. When your road has multiple potholes, it can lead to accidents, and unwanted damages to the vehicles passing by. Therefore, to prevent any unfortunate incidents, here’s how you can prevent potholes. If your road has developed cracks, you can opt to seal coat it to avoid potholes. When you seal coat a road, you prevent water or oil from seeping through road surfaces. There are three different types of seal coats that are available. They are made up of tar, asphalt, and petroleum. If there are too many cracks appearing on road surface, then you may have to replace the entire patch of road. 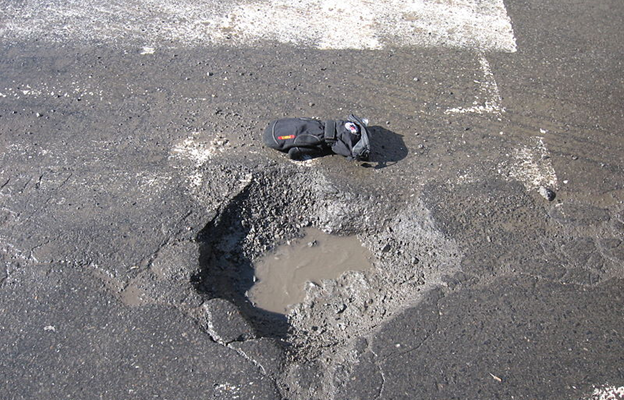 Patching or replacing can be a useful way to avoid massive potholes. In this process, a road construction company removes the damaged patch of the road and constructs a new road. This process of repairing a road or pavement can be extremely beneficial in preventing potholes and increasing the life of roads. This is one of the best ways to avoid potholes. By regular maintenance, we mean that the road should be cleaned regularly. Cleaning helps to get rid of all the oil, water, and other elements that can damage roads. Regular maintenance of roads can increase the lifespan of roads. Getting a road constructed by an expert and experienced company can help you prevent potholes immediately after construction. An experienced firm understands the quality of raw materials that need to be used, the correct procedure to construct roads and other factors that can help you prevent potholes. Some firms even provide regular road maintenance services. Therefore, to have good quality roads, get in touch with a road construction company. If you do not take precautions to prevent potholes, it can lead to expensive repairs in the future. Therefore, to avoid large expenditures, make sure you follow the above-mentioned tips to prevent potholes. For more information on how to prevent potholes for your asphalt or concrete roads, contact a professional and experienced road construction company. Is your pavement old and damaged? Are you planning to build a new pavement? Building a pavement is a comprehensive process that has various stages to it. One such important stage is the subgrade preparation. A subgrade is the foundation of a pavement structure. There is a complete process of subgrade preparation to make sturdy pavement. This process differs for commercial paving contractors and residential paving contractors as the residential pavement is more about the aesthetic appeal and commercial pavements need more strength. Let us have a look at both the processes. To begin with the subgrade preparation, the pavement land is evaluated to identify structural problems. On identification of structural problems, the old asphalt layer is moved to replace the subgrade’s soft spot with rock and aggregate. The bad soil is replaced with a mix of rocks and graded stone in a layer of 12 inches. Next, the subgrade is leveled in order to provide proper drainage to the pavement. If this step is missed, water pools will form on your new pavement. After the leveling is done, the old asphalt is surfaced, and the sides of the pavement are cleared of any obstructions. Compaction is added to the subgrade by applying pressure on it. This is mostly done by work trucks passing on the pavement. Once the subgrade is stabilized and compacted, the paving process is initiated. To prepare the subgrade of a commercial pavement, the subgrade’s soft spot is removed and instead uniformly-sized rocks are put after placing a cloth layer to strengthen the subgrade. When the subgrade is prepared, the soil is also evaluated. 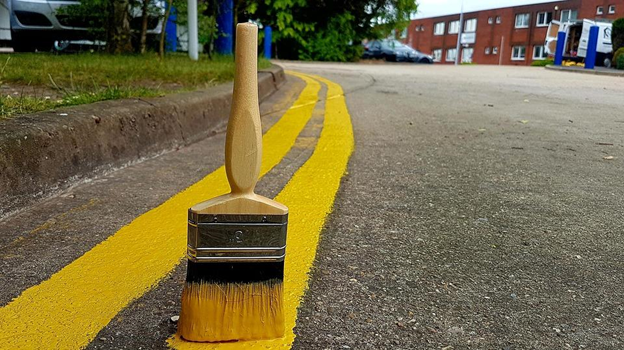 This is essential to ensure that the built of the pavement is strong for commercial use. Different areas will have different soil types. Hiring professional pavement contractors ensures that the proper soil type is identified for a sturdy pavement construction. Once the soil type and soil condition are identified, it is treated before the final asphalt installation is poured to set. Preparing a strong subgrade for your pavement is essential if you want to increase the life of your pavement. With a good subgrade, your pavement will not face issues of waterlogging and potholes. So make sure you follow the right steps in preparing a solid subgrade foundation for your pavement. What all do you would consider if you wished to install a decorative concrete pavement or driveway? Do you only consider the services provided and equipment used by various paving companies? If yes, you are making a mistake. 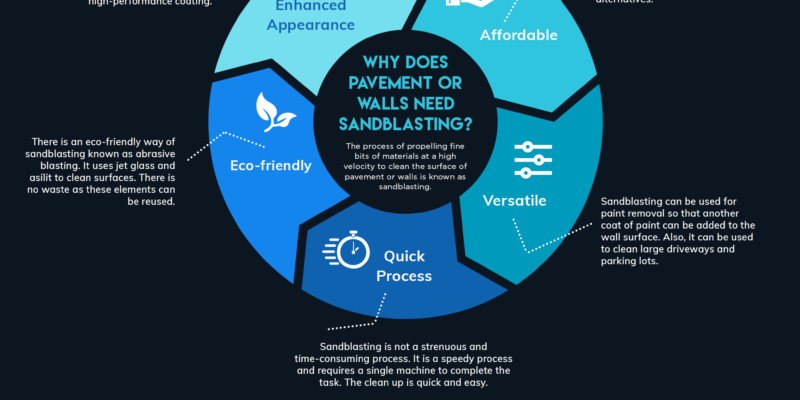 To ensure that your decorative concrete surface looks appealing for decades and doesn’t require frequent repairs, you must consider the following things as well. The process of installing stamped or decorative concrete is quite simple. You can, in most cases, manage to do it on your own. However, it is always better to hire professional assistance for accurate installation and design precision. Professionals know the right technique to install any type of concrete surfaces and they also have high-end tools to complete the process in less time. So, depending on the size of your lot and how intricate the detailing you wish to have on your concrete surface, you can decide whether you want to install it or hire one of the paving companies. If you do your research, you will find that endless stamping options are available in the market. This means that you have a wide range of decorative concrete surface designs to choose from. Do your bit of research, compare various designs and patterns, narrow down your options, and then decide which design would enhance the aesthetics of your property. Accordingly, select a paving company if you opted for professional assistance. Some decorative concrete pavers are more creative than others. So, compare various paving companies and then select a company that can provide you with your desired concrete design. While selecting the color of your pavement or driveway, you might only consider the right shade so that it matches with the theme of your house. But you must also consider the coloring technique so that you can suggest the paving companies. There are two methods of coloring concrete surfaces – integral coloring and broadcast method. In the integral method, the liquid or powder color is mixed into the cement mixture before pouring the paste in place. Whereas in the broadcast method, a dry-shake color hardener powder is directly applied to the freshly poured concrete surface. Color hardener then penetrates the top of the concrete slab 1/8″. There are thousands of blends of concrete available to consumers for residential use. The most common type of mix used for driveways, walkways, patio, parking lots, etc. is known as ready-mix. For the concrete patio, porch, deck, walkways, and other external spaces, a mixture of 4 inches in thickness is the usual requirement. The 4-inch layer of the standard slab concrete is recommended for both garage floors and driveways. Stamping can be done over this layer of basic concrete. When you hire one of the reliable paving companies, they will help you make the right choice. Therefore, do your research, ask your friends who got paving services done, consider online reviews, and only then select a reliable company.